Perhaps the most balanced group in the UEL is the G that offers two parties that can better divide the leaderboard. One of them is between Spartak Moscow and Rapid Vienna, scheduled at 17:55 on the Otkrytiye Arena. Spartak Moscow is not in the same situation as in the previous season when he managed to do important things along the championship as well as the European competition in which he moved relatively well to a point where all the power he had at that end moment. Only 7th place with 22 points in the ranking in Russia, a very weak position if we take into account the white-red past that controlled most of the championship a few years ago, having an extremely offensive lot that unfortunately now has a lot to suffer. In UEL, he has the 2 rd place with 5 points, being the 3rd and one leader, being an extremely mobile position where he can sit anytime. 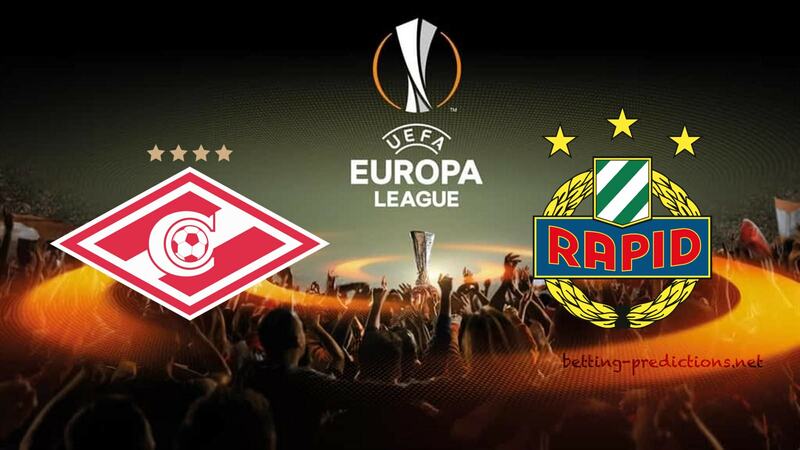 Rapid Vienna is ready to throw everything in the fight tonight and hopes to have a chance in this desire to impose against the Russians, but the difference in value and the lack of land will be decisive for the final outcome. The Austrian team led by Glasner does not get too important in the ranking where the situation is horror, only the 7th place with 16 points, being in a lot of 1st place, but being in the play-out position at the moment, the focus of the Rapid Vienna will focus primarily on the UEL where if he does an important match he will take a relatively serious option to this trophy. Unfortunately, only 3 goals scored by Ivan & Co in the 4 games of the UEL, being something that should worry even more about the green ones, which unfortunately failed to cope with the opponents that were a bit more difficult to pass. The Russians are definitely favorites to win because the difference in value and experience will surely be felt tonight and I do not think Spartak Moscow will give a chance with such a chance, yet having an extremely accessible opponent. I will bet on a success of the white-reds who do not think they will still win two goals difference.